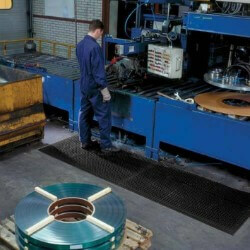 Anti-fatigue & safety mats for wet environments where anti-fatigue, drainage and slip-resistant are all a priority. 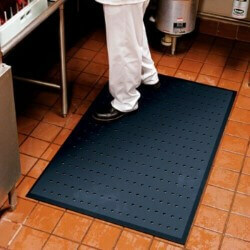 Ideal for commercial kitchens, food processing plants and any wet area where secure footing is required. 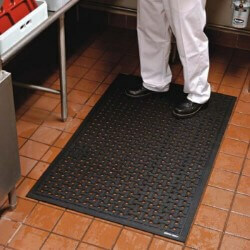 Comfort Zone® is a 5/8" rubber compound mat with a large hole drainage system and a textured top surface that facilitates drainage and minimizes slippage. 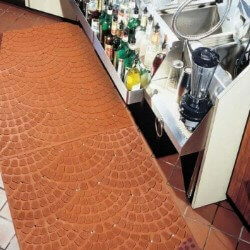 Broad beveled borders reduce trip hazards. 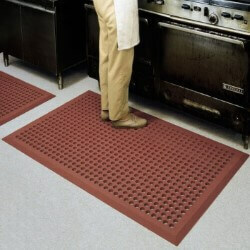 Available with MicroStop™ anti-microbial rubber compound. 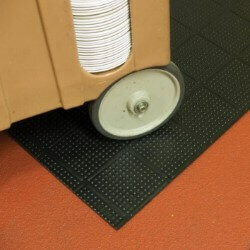 Cushion Station is a anti-fatigue mat that offers bare-foot comfort. 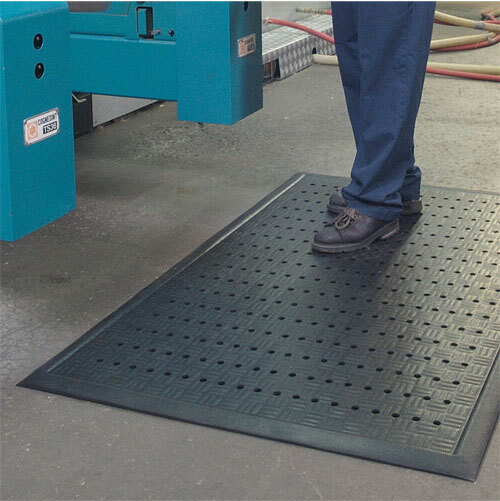 This cushion mat is anti-static, welding safe, grease proof and is treated with an anti-microbial agent. The 7/8" Cushion-Tred is made from a resilient rubber compound that can withstand many of the commonly found industrial chemicals, cutting fluids, oils, and greases. The modular design can be affixed together with optional connector strips. 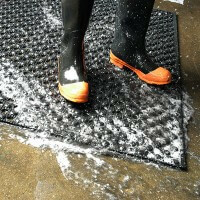 Niru Knob-Top Runner™ anti-microbial rubber compound is designed to withstand harsh chemicals, greases, oils, and animal fats while creating a slip resistant work surface. 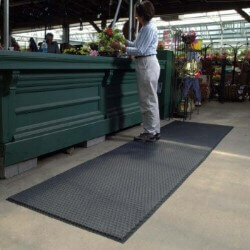 Its 1/4" thickness allows for cart traffic to easily traverse the mat. Reversible.